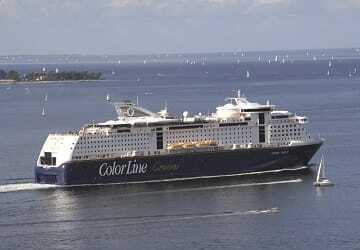 Color Magic is virtually identical to its older sister ship the Color Fantasy with only subtle differences such as some of the restaurants and bars having different names. The Color Magic will not disappoint any of its 2600 passengers onboard with its high class cruise ferry amenities which include, a variety of delicious restaurants from the stunning Oceanic a la Carte to the self-service buffet, spa and fitness centre to relax in, a casino, golf simulator and much more. Color Magic like its sister ship Color Fantasy boasts excellent cabin accommodation. There are varying types of cabins to choose of all classes, size and price, ranging from the spectacular ‘Owner Suite’ the ships most luxurious cabin with large windows with a stunning view of the ocean to the ‘Promenade View’ equipped with bunk beds. All 1016 cabins onboard come fully equipped with ensuite bathroom, TV, minibar and a telephone. In the promenade section of the vessel you will find a vast range of food and drink to choose from all situated near each other for convenience. For passengers requiring a restaurant menu with a variety of options the Oceanic a la Carte with its stunning views of the Ocean serves a selection of hot foods. Mama Bella is the Color Magic’s sit down Italian restaurant serving all traditional Italian dishes, there is also a Sports & Burger bar, Tapas restaurant, Grand Buffet and many more. There are two bar locations onboard the Color Magic, firstly there is the Manhattan Bar which is located above the a la carte restaurant, this high quality bar has highly skilled bartenders serving all types of international drinks. If you prefer something less formal the Monkey Pub is the ideal situation for a relaxing atmosphere with live music. A playground for toddlers with cartoons and toys. Kid's Corner is unattended and located in the promenade on deck 7 next too Mama Bella Pizzeria. Please Note: Whilst we have taken great care in making our Color Magic guide as accurate as possible, onboard facilities, services and entertainment may vary depending on the date and time of year that you travel, facilities mentioned may change without notification and ferry companies reserve the right to operate vessels other than those mentioned at time of booking without prior notification. We travelled between Kiel and Oslo return. Everything was fabulous on-board. A good alternative to flights if you want to drive a bit more and bring your car. Indeed, we saw a lot of people from Belgium on this route but we were the only French car! The ship is like a cruise ferry, there’s so much to do during the 20 hour trip. We don’t regret it. We were very impressed by the problem free and well-organised boarding(by car). On board there is a various selection of food and beverages available at affordable prices for the Norwegian standards. The payment by VISA was no problem at all.